2017 proved to be a good year for the electronic music world, from my point of view. With the revival of the old school electro, with acid, industrial and afrobeat still hot and EBM growing stronger, 2017 was a very interesting year music-wise. Regarding the Romanian producers, things are also moving in a good direction. There are no new faces to the game, but the ones already there are leaving their mark and their music heard more and more. Petre Inspirescu delivers ‘Vîntul Prin Salcii’ – another longplayer enlarged with seven, up to epic twelve minutes long arrangements. They all listen to the name ‘Miroslav’ and only differ numerically in their title. You can call them ambient. You can call them minimal music in the sense of classic compositions by Steve Reich or Terry Riley. They groove – sometimes more, sometimes less. and they spread the sounds of flutes or saxophones, delicate piano figures, organic jazz drumming, arpeggiated analogue synth-lines, mesmerizing strings, choral singing, alienated looped vocals and spaced out new aged spheres. What unites them all is the way, the melodies dance upon and in each single tune. Their beautiful tex-tures ensnare and they are continuously engaged with experimentation. A mystical album full of evolutionary music to which each listener is able to paint his very own emotional picture. Moody, dark and at the same time light-flooded shape-shifting compositions – made for those who love to surrender them-selves to a gentle dance between experimentation and attractiveness. 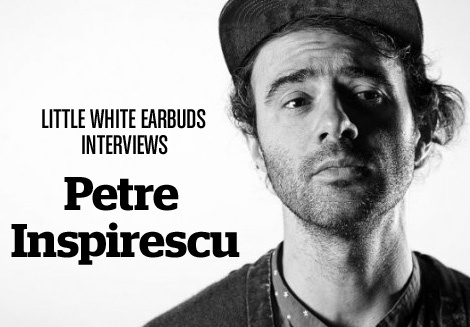 Romanian minimal techno hero Petre Inspirescu releases a solo album on Japan’s Mule Musiq and what a moment in a brilliant career thus far. This guy is a true innovator and many are curious to hear what kind of journey into the deep and bizarre he can take us on. Starting out with the exotic bongo meditation of “Delir 1” and the breathtaking immersive ambience of “Delir 2” or the sinister and unsettling “Lumiere” things start to develop more movement later. Such as: on the deep hypnotic vibes of “Delir 4” or “Delir 6” which feature sombre string arrangements, emotive piano passages and some of the most expressive and restrained drums and percussion performances. All nine suspenseful compositions seduce with a deep melodic sensibility, harmonic adventures and an overall rhythmic ambiance of freshness and laidback enthusiasm. Together they represent a challenging auditory experience that will resonate in your mind long after the music has finished. Last month I had the pleasure to host Guillaume from 716 Music and he asked me to compile a playlist for his blog. I liked the idea and I took the advantage to promote some Romanian producers. So here it is 100% Romanian music. The Romanian Petre Inspirescu has exclusively used his own unreleased productions for fabric 68 makes. Petre’s recent and newfound love and appreciation of classical music permeates the deep structures and rhythms of fabric 68. Everything about the music that makes up the mix is long and liquid, silky and sinewy, with myriad different bass, instrumental and percussive threads wobbling and scurrying their way along.